MIDLAND PARK, N.J. - May 12, 2011 - Jacobsen Landscape Design and Construction recently participated in two PLANET Day of Service volunteer projects in conjunction with Earth Day 2011. 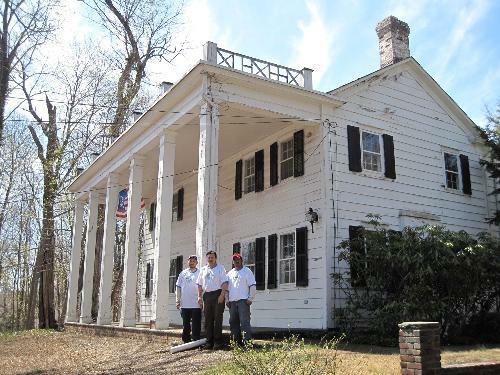 In the first local project, Jacobsen Landscape, based in Midland Park and with a new Landscape Gallery in Saddle River, spearheaded a much-needed clean-up and landscaping project at the historic John Fell House in Allendale. The company donated the materials for the clean-up as well as the labor and equipment for the grass cutting and mulching. "The Jacobsen Landscape team worked hard all day and did a great job and we thank them for their effort," says Linda Schropp, of the Concerned Citizens of Allendale, the non-profit organization that owns and oversees operations at the historic site. "It has really made a difference from how the house looks from the road and the mulch down by the driveway entrance has made a big difference." The second project, at the Basilica of Sacred Heart in Paterson, consisted of cleaning up the property as well as planting seasonal flowers around the grounds. All materials and labor were donated by Jacobsen Landscape. "It is great to be part of an association like PLANET that sponsors the Day of Service and be able to use the company's resources of labor and materials to help two great non-profit organizations," says Jim Van Heemst, Jacobsen Landscape General Manager. "Our personnel value the PLANET Day of Service and make it part of their jobs to give back to the community whenever possible." Association of members who create and maintain the quality of life in communities across America. The annual PLANET Day of Service is a grassroots event that allows lawn and landscape professionals to organize volunteer projects in their communities to beautify anywhere people enjoy green spaces, such as the grounds of schools, parks, playgrounds, senior centers, shelters. In the past two years of the event, PLANET members completed more than 480 projects in 43 states and in Canada, with nearly 5,000 volunteers donating more than $1,000,000 in time, material, and services. Now in its 33rd year in business, Jacobsen Landscape is a full-service company specializing in design/build, residential and commercial property maintenance, irrigation/water management, outdoor lighting, and commercial snow removal. 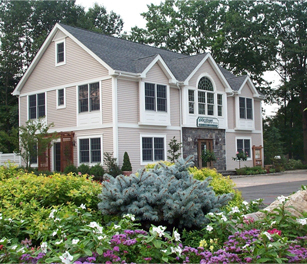 The organization has been recognized nationally as one of the top landscape companies in America by Landscape Management Magazine and was featured on nationally syndicated Home & Garden (HGTV) for its award winning design of a unique, urban residential backyard in Hoboken, N.J. Jacobsen Landscape Design and Construction can be reached at www.jacobsenlandscape.com.